Not all homes are move-in ready. If you are willing to put in the work on a new home, it is possible to transform a fixer-upper into your dream home. An FHA Section 203(k) is a loan insured by the Federal Housing Administration (FHA) that offers financing for the repair and rehabilitation of single family properties. With an FHA Section 203(k) loan, you can wrap your mortgage costs with your renovation costs meaning you only need to have one loan and one closing. Learn more about FHA Section 203(k) loans, what they entail, and if it wise to renovate a home rather than purchase a move-in ready home. What Exactly Is an FHA Section 203(k)? While the idea of purchasing an inexpensive home in need of work and fixing it up to your expectations sounds like a good idea, not everything is always as it seems. Many borrowers come to find out that remodeling a home would cost much more than they had originally anticipated. Some lenders will not even offer interested buyers a mortgage for such homes as these “fixer-uppers” are often considered uninhabitable. If you are willing to put in the work, an FHA Section 203(k) might be right for you. An FHA Section 203(k) loan is a type of home loan that is backed by the federal government. It is only available to buyers who are interested in purchasing an older or damaged home that requires repairs or renovations. 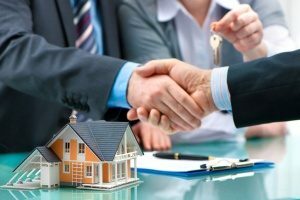 When you work with a mortgage broker to purchase a home, the broker can connect you with a lender who will provide you with the financing needed to purchase or refinance the home as well as provide extra funds to complete any necessary renovations to one or more rooms. How Does an FHA Section 203(k) Loan Work? If you are found eligible for an FHA Section 203(k) loan, you will have the option of taking out a 15- or 30-year fixed-rate mortgage. You may also have the option of taking out an Adjustable Rate Mortgage (ARM) if you choose to work with a HUD-approved lender. The loan amount is based on the cost of the work and the projected value of your home after the repairs and renovations are complete. 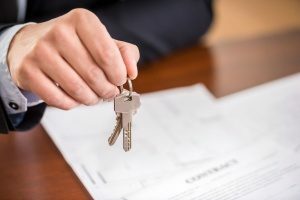 A portion of the loan will go towards paying off the purchase price of the home, while the remaining amount is placed within an interest-bearing account and released in stages as rehabilitation is performed. The Federal Housing Administration does place some requirements on borrowers who take out FHA Section 203(k) loans. The FHA requires that you use a minimum of $5,000 of the financing provided to make eligible improvements in the home and that you complete these repairs and renovations within six months of the loan’s closing date which is based on the work needing to be completed. This first $5,000 typically covers modernizing the home, making upgrades relating to safety and health, and eliminating any building code violations. What Are Eligible Home Improvements? FHA Section 203(k) loans cover a wide range of home improvements. This may include, but is not limited to, remodeling a kitchen, bathroom, or other room in your home. This may also include purchasing new appliances for these rooms. Other eligible repairs and renovations include replacing a roof, downspouts, and gutters, adding another room to the property, completing a basement or attic, or adding a second story. A loan can also be used to replace flooring, extend a garage or carport, upgrade heating, plumbing, or electrical systems, or to make a home assessable to the disabled. How Can I Budget for Repairs and Renovations? Before you can decide on how much you should spend on your home renovation, you will need to look closely at your own financial situation. The more you take out on a loan the more you will need to pay back. Make sure that you are able to make the payments while maintaining an emergency account to ensure that you can make any unexpected and costly repairs along the way. When considering your budget for the project, be realistic about the amount of work the property needs. Also know that you will likely need to hire out some tasks as not all projects are the DIY kind. Once you have a budget in mind, you will want to get quotes from contractors in your area. Get recommendations from friends and family to find a qualified contractor who has a good reputation and who is insured. Before seeking bids, you should also decide exactly what you want in the space, from the flooring and cabinets to lighting and countertops. When interviewing contractors, be sure to check references, ask to see their recent work, and look online to see if you can find peer reviews from contractors. If your budget is tight, you will want to look for ways to cut back in certain places and splurge in others. One big way to save money on home improvements is to do most of the work yourself. If you are handy and have experience with do-it-yourself tasks, this should not be an issue. Know that it will cost you considerably more money if you choose to hire a contractor to complete some work for you. However, there may be times when hiring a contractor is the best choice, such as when you need work done on major systems like plumbing, electrical, and heating. Buying a home that needs extensive work is a big decision. If you decide to progress with the sale, you will need to consider how you will pay for the repairs and renovations needed to modernize the home. An FHA Section 203(k) loan is one option for paying for renovations your house may need to make it a functional home. Before making a choice, determine if it is more cost-effective to buy a ‘fixer-upper’ or purchase a move-in ready home. Contact a mortgage broker in your area today to talk about your options.